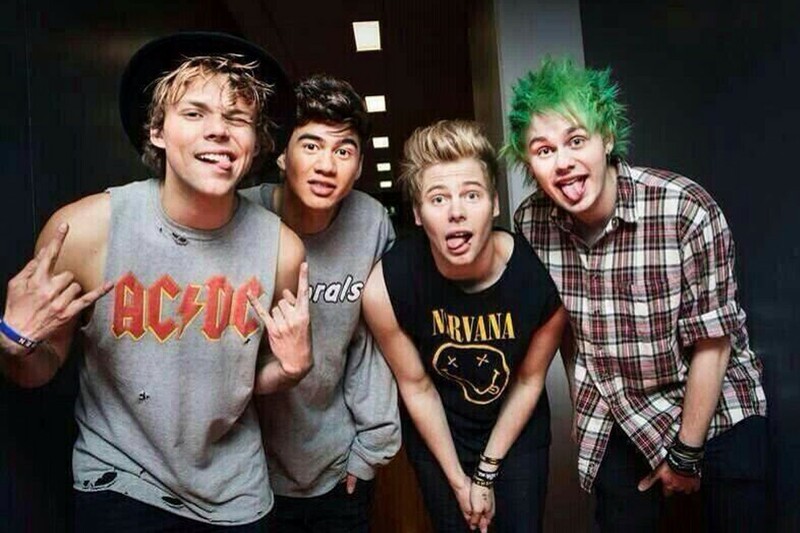 Teens everywhere are bracing themselves for 5 Seconds of Summer's upcoming North American tour. Founded in 2011, this act isn’t like boy bands of old such as ‘NSYNC or Backstreet Boys — their band wasn’t the product of producers putting them together, instead they were discovered fully formed on YouTube. The guys’ 2014 self-titled album sold more than three million records worldwide. And young teens everywhere fell in love with them. They allegedly play their own instruments, too. Tickets for the Arena show go on sale next Friday at 10 am. No doubt, it sells out fast. Reserved seat tickets are $25.00, $29.95, $39.95, $59.95, and $79.95. Their brand new single, “Hey Everybody” just dropped today. And it is, well … upbeat.